If you are looking for the most up to date information on all of our Certified Shops, you are in the right place! Below you will find all you need to know about what our shops are up to, including, current advertisements, website links, new shop information, and much more! Click the links to find a complete list of US Shops, Canadian Shops, and Australian Shops! It’s great to see features on our CS and CIs! In this case, Jackie Kunkel is a Certified Instructor (CI) AND, a Certified Shop (CS)! 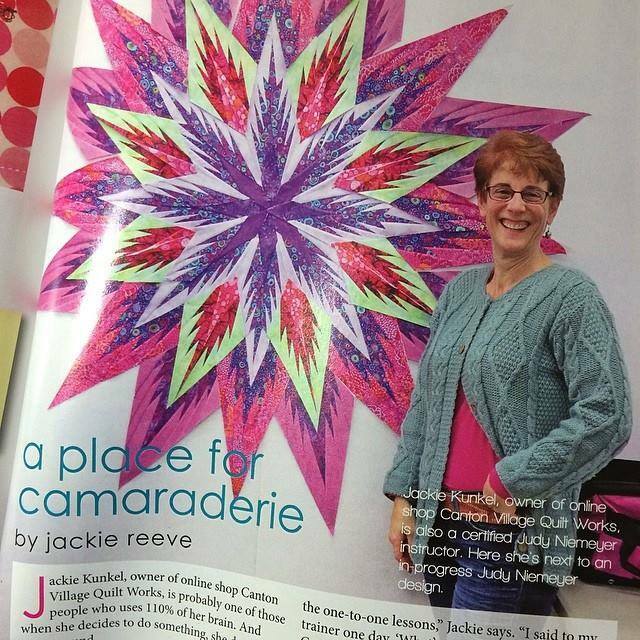 Wonderful article…and lots of Quiltworx fodder for those who love what we do! Proud to have Jackie as part of our team! Click the image below to find this Generation Q Magazine issue (May/June 2014), and others! Kits are now available at our FIRST Certified Shop in Ontario, Canada and we are excited to reach a region that is new to our programs! 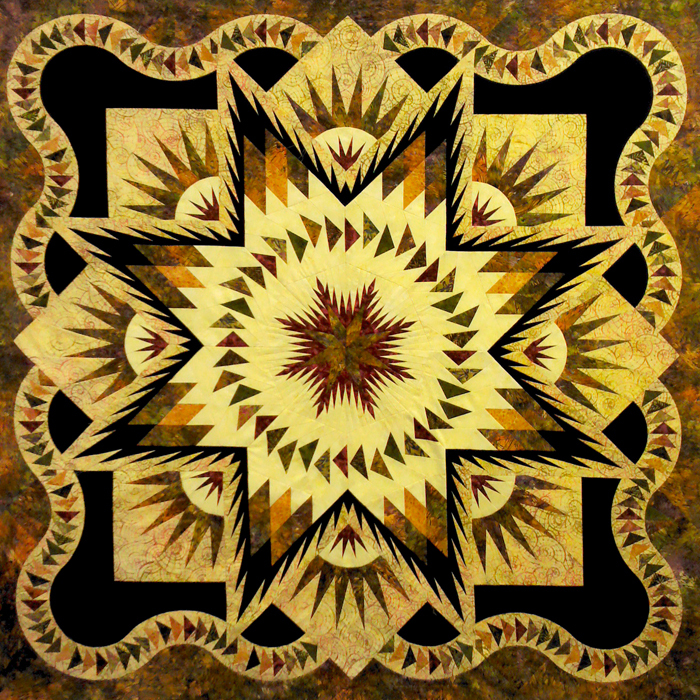 If you are looking for the kit for the quilt below, you should reference the Ad in American Patchwork and Quilting before you call the shop! We promise, you won’t regret it! 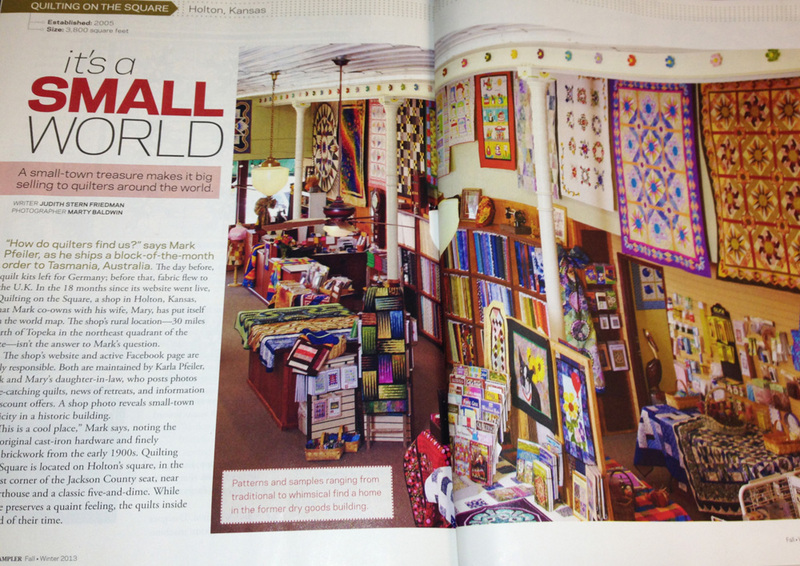 Congratulations to CS Quilting on the Square for their four page article in the Fall/Winter 2013 publication of Quilt Sampler! 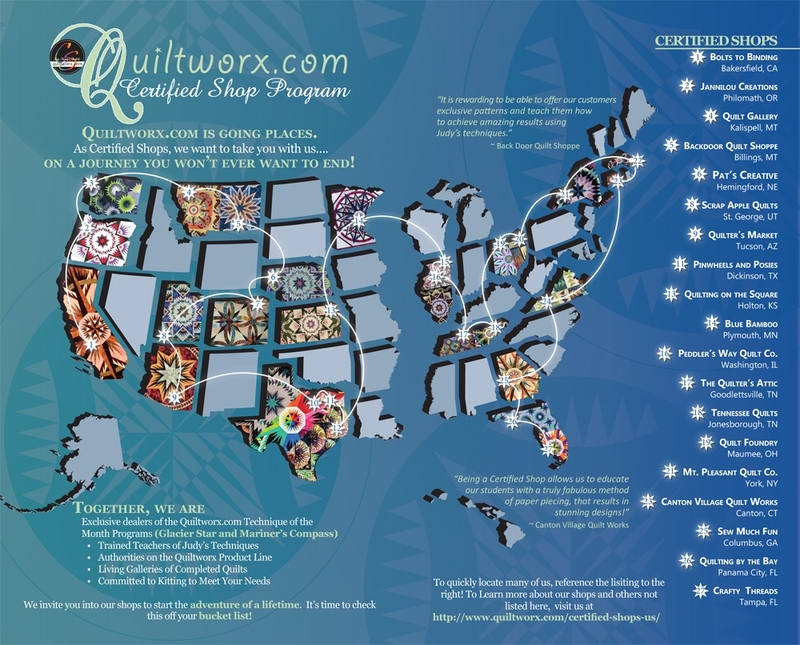 CLICK HERE to read a wonderful article on one of our Australian Certified Shops, Palm Beach Quilting, and its owner/manager Maureen Miller! 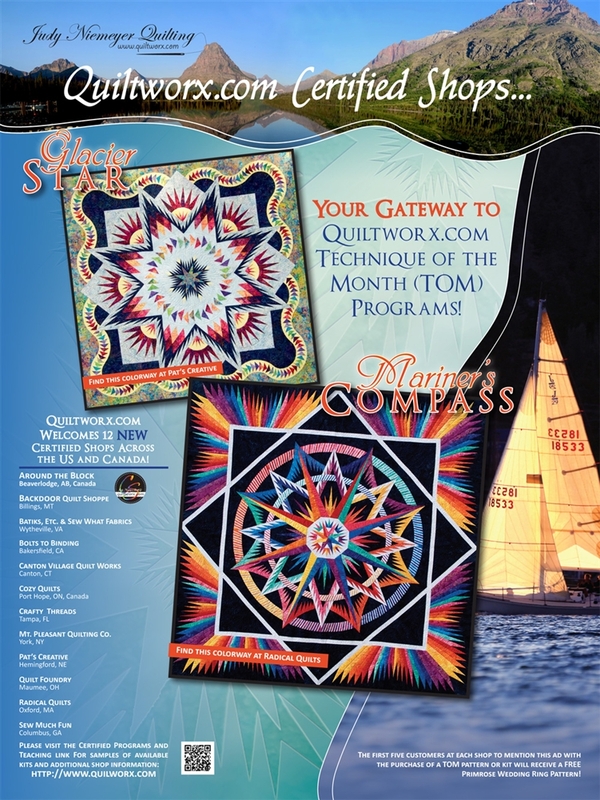 The ad in American Patchwork & Quilting is out! 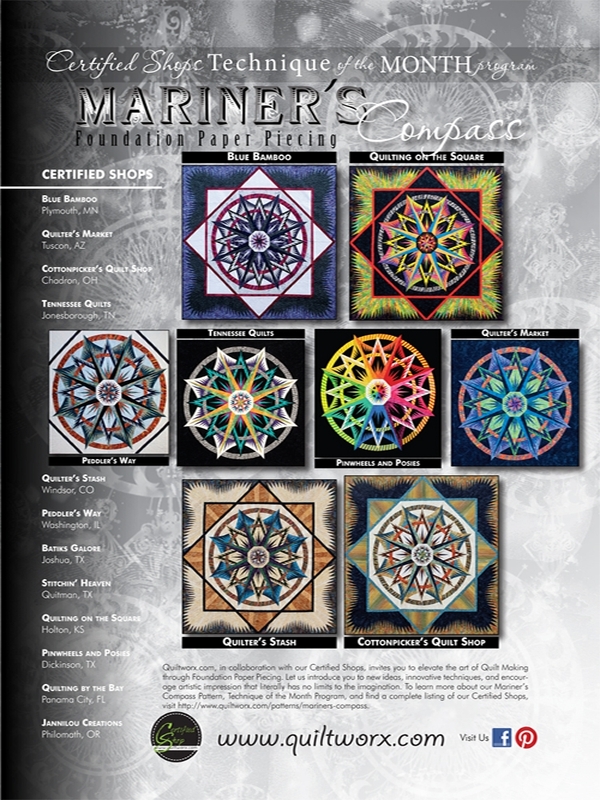 Below you will find an album of the same Glacier Stars and Mariner’s Compasses featured in the ad! All of these quilts were completed by our NEW Certified Shops! Joseph Stroman I really like the gradations in red. Diane Dryden Breath takingly beautiful!